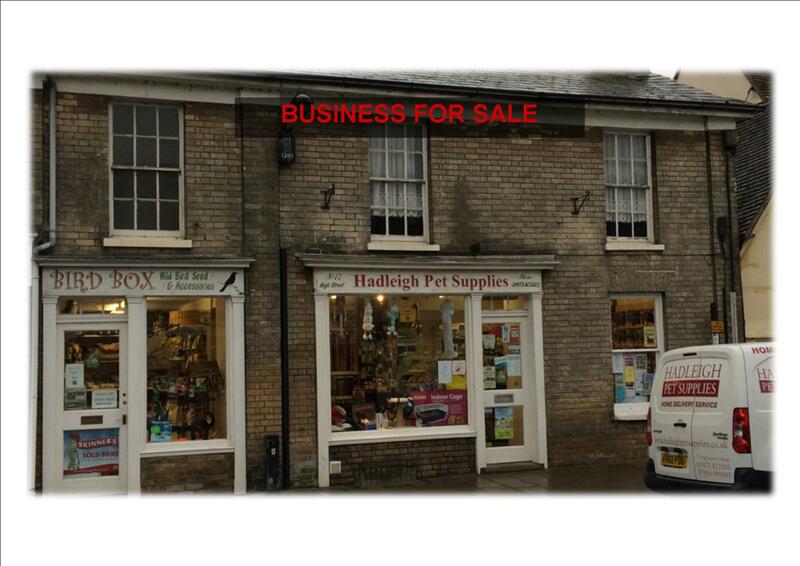 LOCATION: Prime High Street position with on street parking in the centre of Hadleigh High Street adjacent to Adnams and close to other well known retailers. DESCRIPTION: Double fronted leasehold shop. Potential to be split into two units. Flat above, currently used as stockrooms. Includes rear courtyard garden with further storage and small outbuilding. Ideal for expansion with other associated business i.e. dog washing, grooming, or day care. TERMS: Lease renewable September 2020. 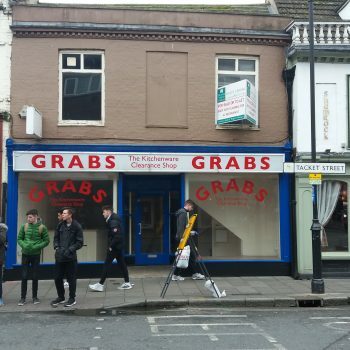 Retirement sale of business, to include; Goodwill, Fixtures and Fittings £25,000. Lease for assignment. Stock at valuation. Qualifying occupiers may be eligible for small business rates relief which can reduce rates payable by up 100% for certain properties with low rateable values. Further information available from Ipswich Borough Council -Telephone 01473 433851.